On a Windows XP desktop, I have connected a Zip 250 drive (Z250ATAPI) to the motherboard's integrated J-Micron eSATA/PATA controller. The IDE cable has 2 connectors but only one is used. It seems the device isn't recognized by the BIOS, as I cannot select it in the boot order menu. If I plug a CD drive in the same connector instead, it works normally. Windows does not see anything either, but if I connect both CD drive and Zip drive together, the CD drive is functional, and I get 50% of CPU usage due to interrupts. The controller is set to IDE mode. I have tried every jumper position and always got the same result. I have browsed everything in the BIOS' menu, but nothing seemed relevant to this situation. What could be the issue ? In a comment on the post, among my suggestions was one that said that some Zip drives are not detectable without a disc inside. That led the poster to put a disc inside the Zip. It changed nothing, so he pushed the eject button - and nothing happened. Conclusion: Electrical supply problem interior to the drive. Problem found thanks to my advice? Well ... sort of. Master\Slave - No jumper is slave and default. Jumper can be added for master. 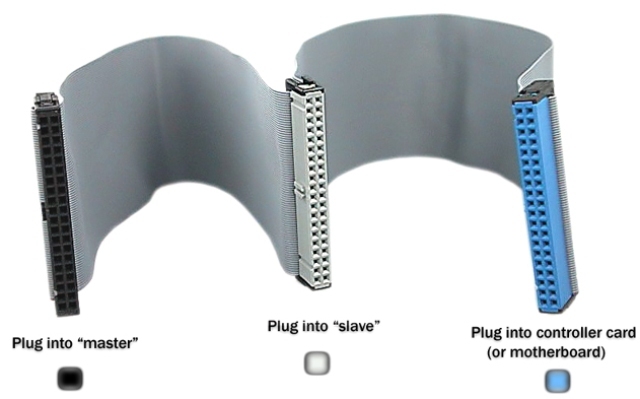 Connect to the furthest of the two IDE connectors for slave. Near one for master. Check the power connector. You should get a green light with the machine powered on and a disk in the drive. Check BIOS. If the drive is not detected in BIOS, turn off auto detection. You may need a BIOS update if your MB is not compatible. This device is not compatible with 64-bit windows. Follow the installation guide in the manual. Not the answer you're looking for? Browse other questions tagged motherboard bios ide atapi or ask your own question. How can I enable AHCI mode after Windows Vista install in IDE mode and before/for Windows 7 clean install? Why does my motherboard not pick up PATA HDD using a SATA adaptor?